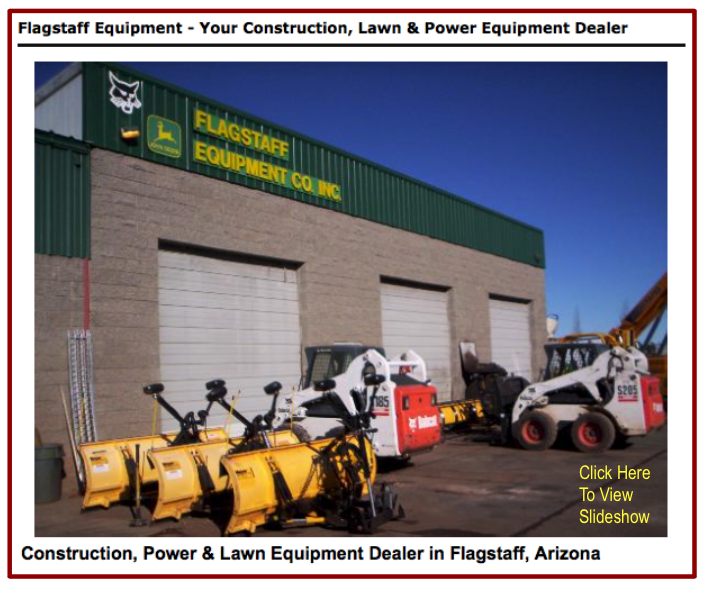 Business Description Flagstaff Equipment Co., Inc. is conveniently located in central Flagstaff. We are a John Deere, Bobcat Meyer, Landpride and Honda dealer. We service other makes of equipment as well. Other services that we offer include equipment sales, rental, & repair, hauling, debris clean up, property clean up, snow plowing, snow removal, ice control, cindering, pressure washing and parking lot sweeping. Give us a call today! !